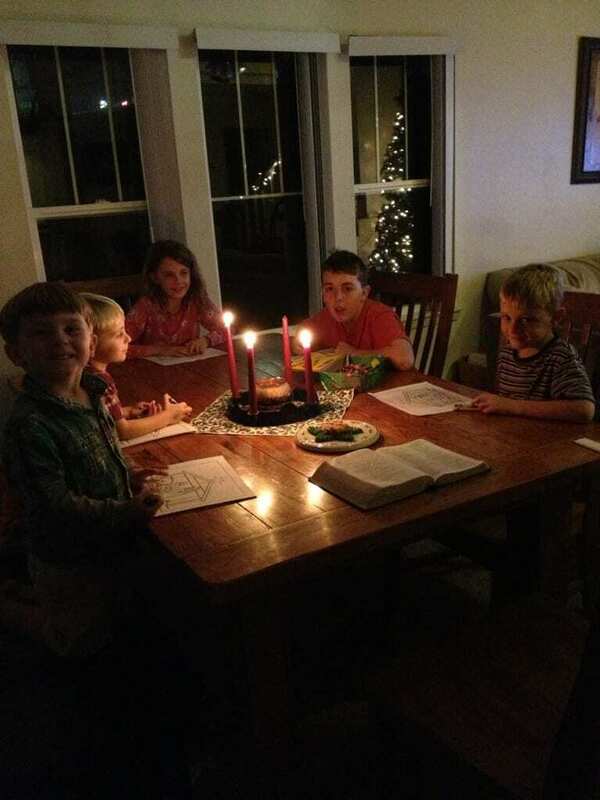 We celebrated the second Sunday of Advent tonight by lighting the third candle… I think I already mentioned that we started a week early. Anyway, we read our Scripture and sang O Little Town of Bethlehem. 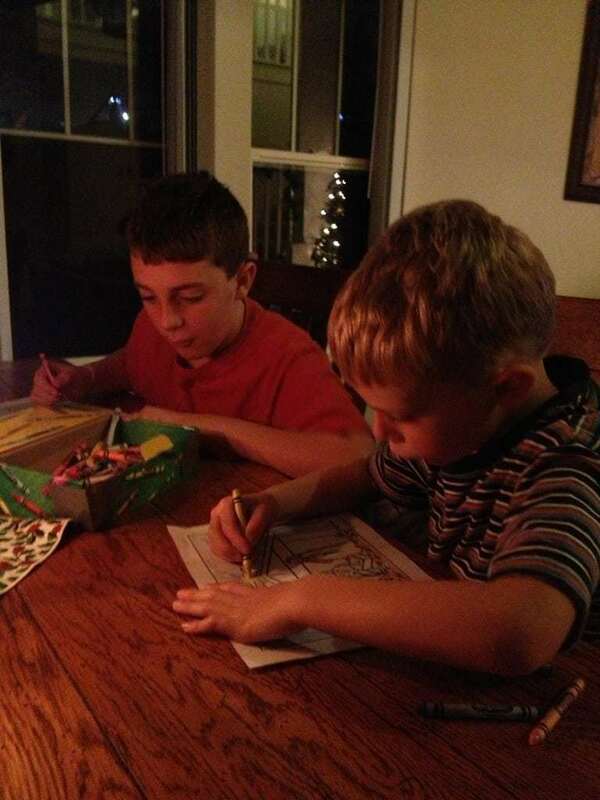 I found a picture of the nativity in my files to print and the children had fun coloring while I read. This is a great way to keep the little ones still! We also enjoyed Cheesecake Spritz cookies as a special treat. 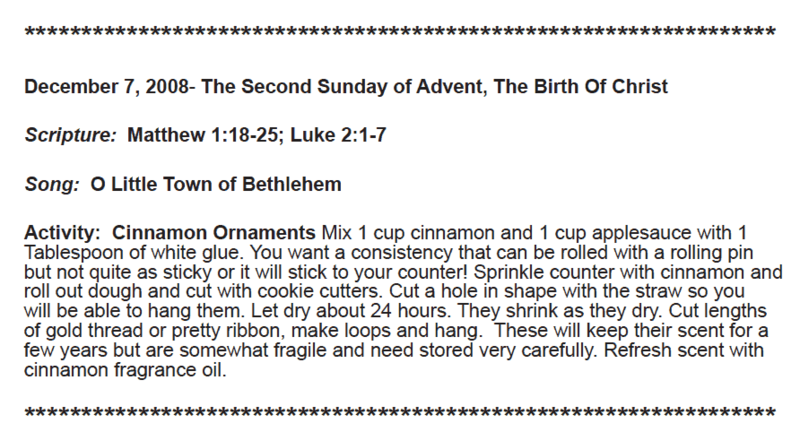 I try to have cookies each Sunday for our Advent candle-lighting event. 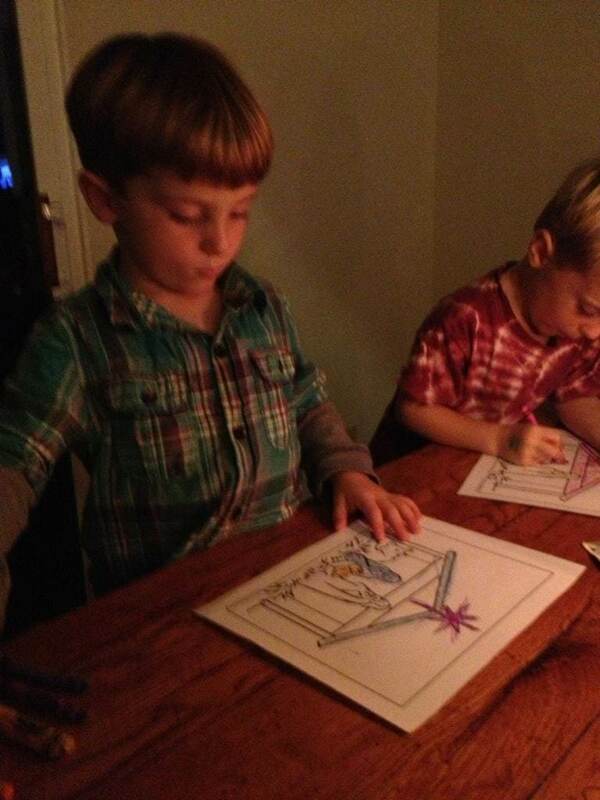 Even the twins have been talking about lighting the next candle all day today… It’s a big deal! 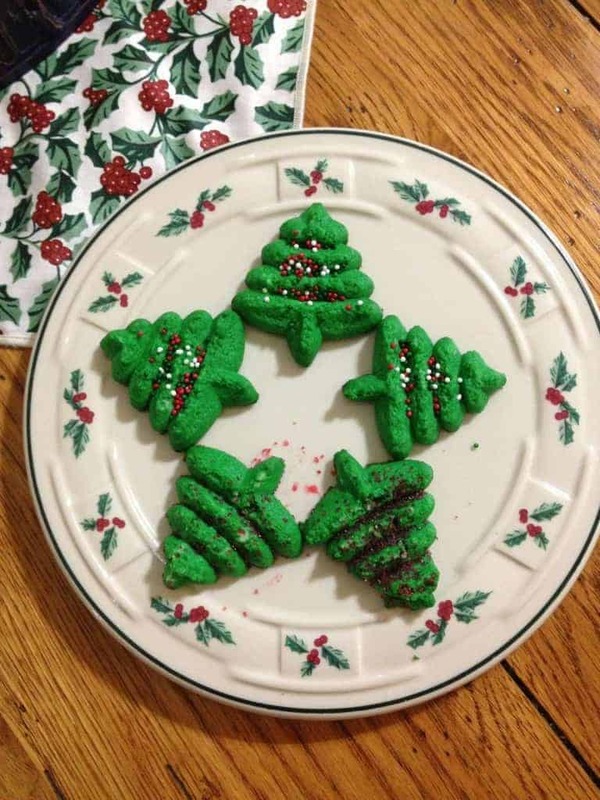 I love seeing how other people celebrate Advent. Every year I mean to do better with it — some years, just remembering to buy candles is a challenge. This year, we’ve been lighting our wreath almost every night, and I’ve been transported back to my childhood when there were more than “oldest” and “youngest” children and squabbles over “I want a turn to light it!! !” I think they will survive! Stopping by from the Blog Cruise — thanks for sharing! !